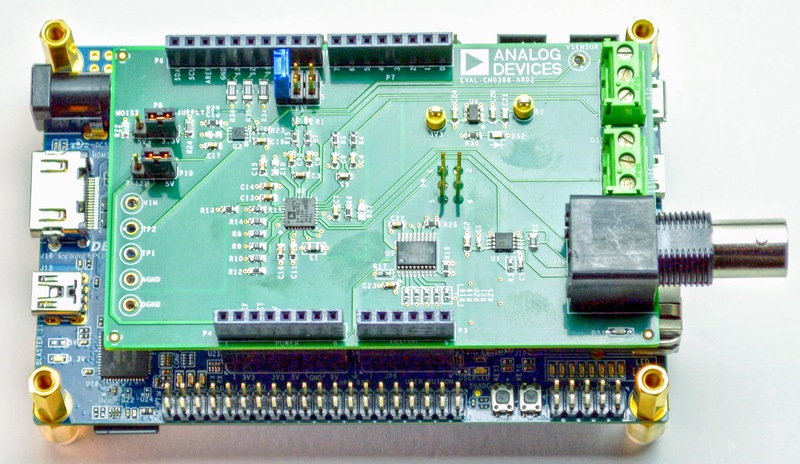 Analog Devices has developed over a hundred reference designs to help solve developers’ system level application challenges from mixed signal designs, to software drivers and algorithm development. The DE10-Nano includes an LTC 2x7 QuikEval header that is compatible with over a hundred of Analog Devices evaluation boards from the legacy Linear Technology product lines. Some of these parts may be an "enabling technology" for your design, such as a precision ADC or DAC, or a low-noise PLL for a communications system. Other products perform critical auxiliary functions, such as system health monitoring (supply current, supply voltage, temperature etc.). 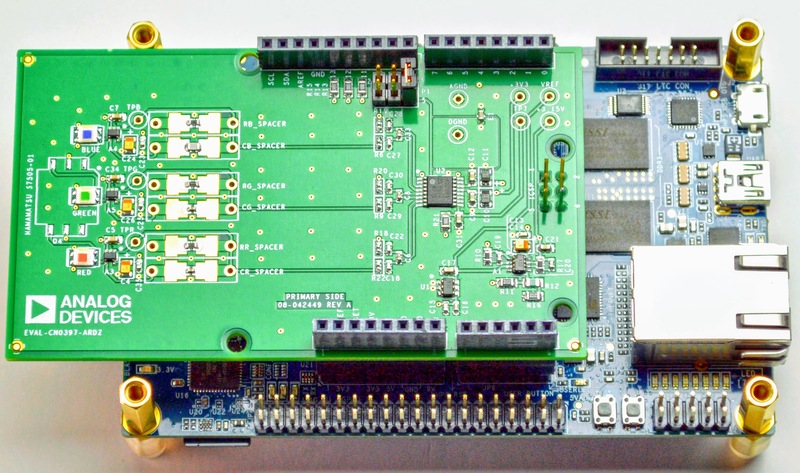 Click here to see over a hundred boards that connect to the LTC 2x7 QuikEval header. The SPI or I2C signals on the DE10-Nano's QuikEval connector are connected to the HPS side of the Cyclone 5 SoC device. 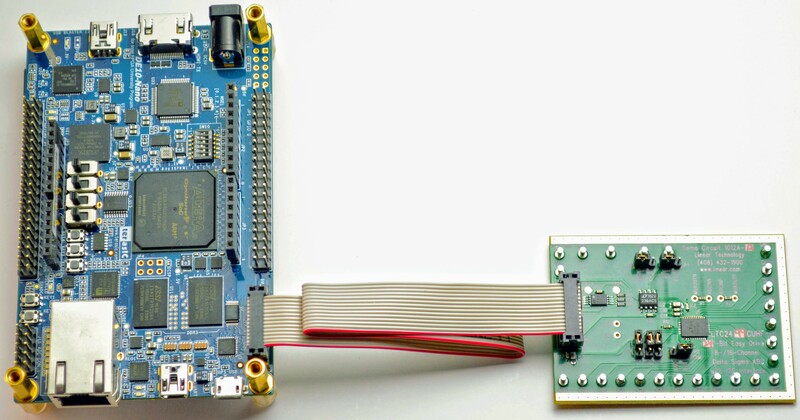 This means that you will most likely communicate to these devices from within the Linux operating system running on the embedded processor.For parts without a Linux driver, it may be possible to communicate directly through the /dev/i2c and /dev/spi device files. In both cases, there is Linduino / Arduino code that can be used as a starting point for writing your own code. 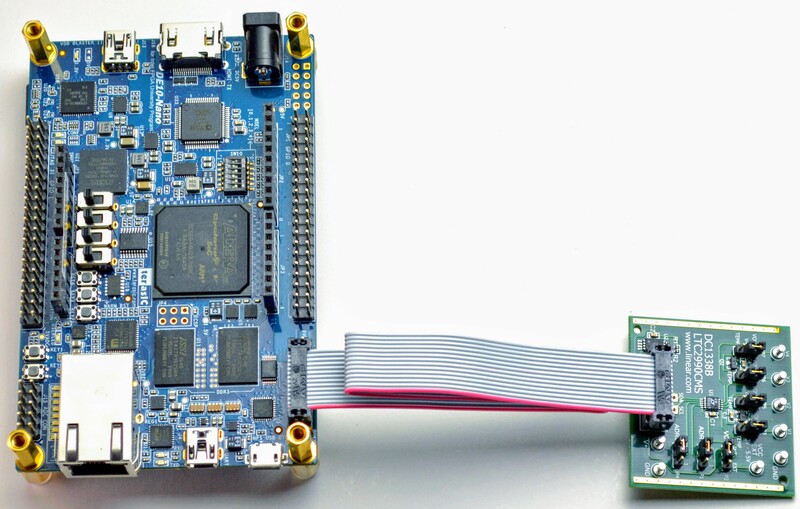 Linduino / Arduino code is intended for porting to "bare metal" (no operating system) embedded applications, but is still useful in gaining insight into how a particular device functions. LTC2668 DC2025A-A DC2025A features the LTC2668, 16-channel 16-Bit/12-Bit ±10V VOUT SoftSpan™ DACs with 10ppm/°C max reference. 0V to 5V, 0V to 10V, ±2.5V, ±5V, and ±10V.